For Army, Navy, Marine Corps Revenue Cutter Service & National Guard, Adopted by the War Department for United States Army and National Guard. BUGLE CALLS have been used in the military as a means of communications for centuries. Troops have been awakened, notified to assemble, soothed to sleep and set to many other tasks by bugle calls. 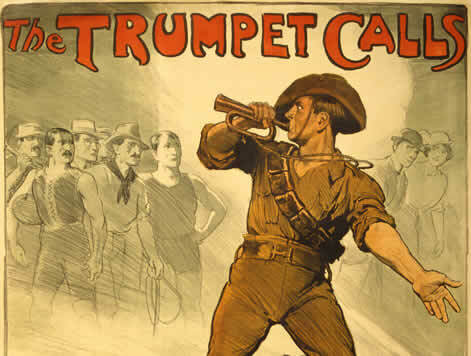 With the advent of modern communication methods the importance of the bugle call has reduced and probably only a handful of the huge number available are regularly used.